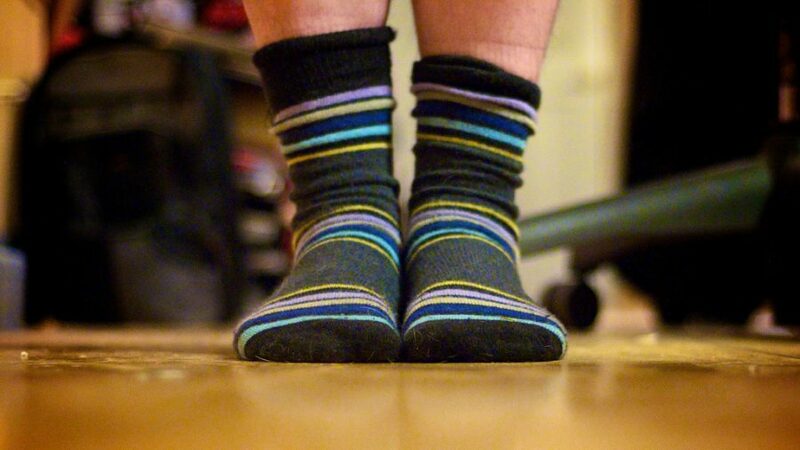 In a bizarre case in China, a man with a habit of smelling his own socks was hospitalized with a severe lung infection. Doctors say the man with the surname Peng from China’s south-east Fujian province received medical care after complaining about coughs and chest pains. But after a week, he was admitted to a hospital in Zhangzhou when his condition took a turn for the worse. His x-ray confirmed that he was suffering from a pulmonary fungal disease—a disease caused by inhaling fungi in their natural habitat. Dr. Mai Zhuanying, a respiratory and tuberculosis specialist at the hospital, told Pear Video that a combination of a weakened immune system caused by late nights looking after his infant child and a habit of smelling his sock every day were likely the cause of the infection. She did not specify which fungus was the cause of Peng’s infection. Mai added that fungal spores could spread quickly in the socks and footwear for people who suffer from athlete’s foot—a fungal infection that often appears in between the toes. She did not mention whether the man had athlete’s foot. According to Pear Video, Peng was recovering in hospital. The American Thoracic Society said in its book (pdf) that lung fungal infections are less common than bacterial and viral infections, but pose significant problems in diagnosis and treatment. They found that the disease mainly affected people living in certain geographic areas who have immune system deficiencies. The organization said that the best way to prevent fungal infections was to avoid activities that expose individuals to fungi. They added that antifungal medication is usually only recommended for patients with severely weakened immune systems. According to the Center for Disease Control and Prevention, most fungi are not dangerous but some can be harmful to health.